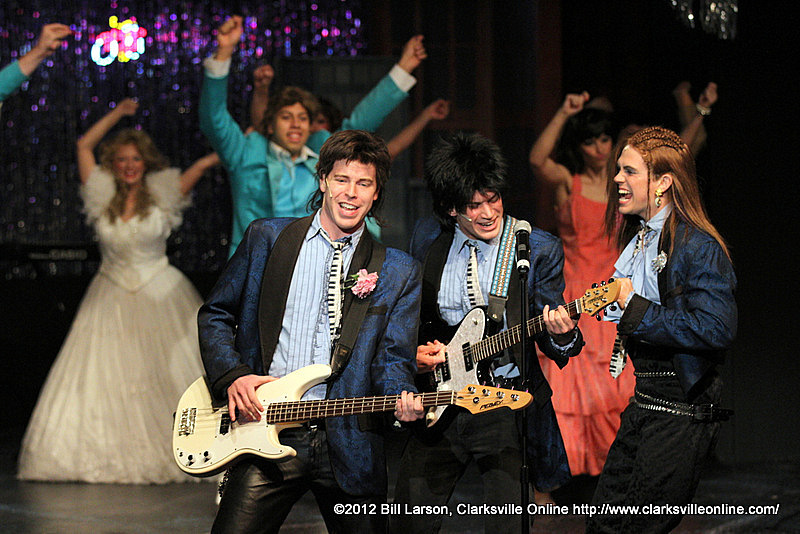 Clarksville, TN – The Roxy Regional Theatre is currently staging their production of the smash hit musical The Wedding Singer which takes viewers on a flashback to the 1980s, complete with the big hair, corny clothes, and some amazing music. In the show, we are back in 1985 with rock-star wannabe Robbie Hart (Josh Bernaski), New Jersey’s favorite wedding Singer. He is the life of every party, until his fiancée Linda (Sara Fetgatter) ditches him at the altar. He is “Shot through the heart” to paraphrase Bon Jovi, after which in his grief Robbie makes every wedding he sings at as disastrous as his own. Enter the lovely Julia (Ashley Laverty), a winsome waitress who wins Robbie’s affections. The only trouble is Julie is about to get married to Glen (Reagan Featherstone), a Wall Street shark; and unless Robbie can pull off the performance of the decade the girl of the his dreams will be gone forever! With its jamming score the Wedding Singer catapults you back in time to the 1980s when hair was big, greed was good, collars were up, and a wedding singer might just be the coolest guy in the room! This was a blast for me to watch as I was a kid during the 1980s. It was like a flashback to my childhood. I remember the clothes, I remember the hair, and I definitely remember the songs; I was quietly singing along to many of the tunes in the show. Indeed in the lobby after seeing the show another audience member who lived through the 1980s remarked, “We didn’t look that bad? Did we?” As they say, if you have to ask the question probably already knew the answer. One of the wonderful features of the set which was so appropriate for the show, was a giant wedding cake, which was created by Ralph Conklin and decorated by Kyra Bishop. Along with the accurate creation of young man’s bedroom complete with the posters of hot women on the walls. All of this was but decoration, as it was the skill of the actors who really brought the show to life. I have watched the movie, and I love Adam Sandler; but the Roxy’s production felt so much more real to me. 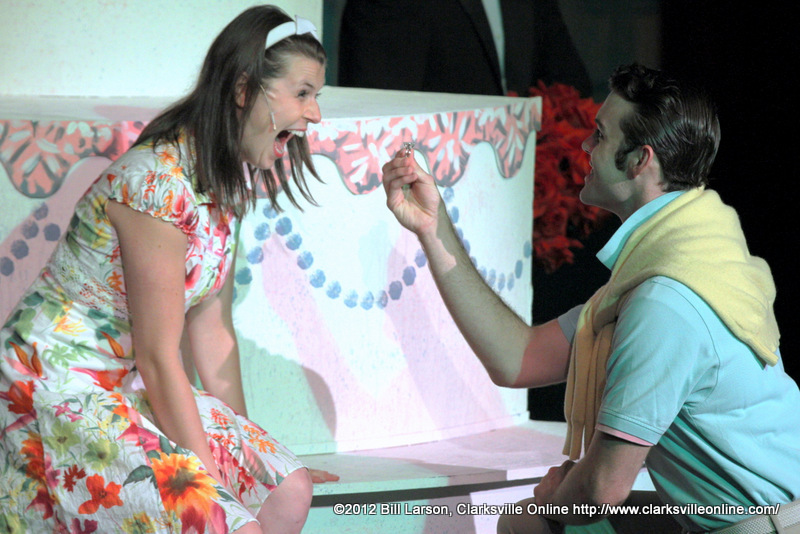 The show stars the handsome Josh Bernaski as Robbie, and lovely Ashley Laverty in the role of Julia. They were supported by Jama Bowen, Ryan Bowie, Hannah Church, Kaitlin Doughty, Regan Featherstone, Sara Fetgatter, Humberto Figueroa, Leslie Greene, Erin Keas, Travis Kendrick, Sean Ormond and Rob Rodems. 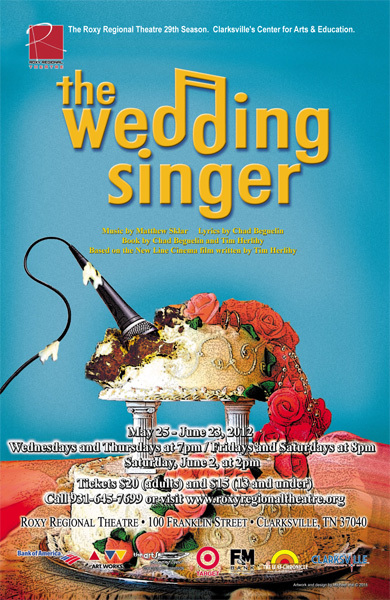 The Wedding Singer is directed by Tom Thayer and John McDonald, choreographed by Jessica Davidson, with lighting and sound design by Adam Kurtz. The costumes and wigs which were used in the original Broadway production were provided by the Prather Entertainment Group. This is a fun musical, and one that anyone no matter their age can enjoy. The Wedding Singer runs through June 23rd playing Wednesdays and Thursdays at 7:00pm, Fridays and Saturdays at 8:00pm. Tickets are $20.00 for adults, and $15.00 kids 13 and under. 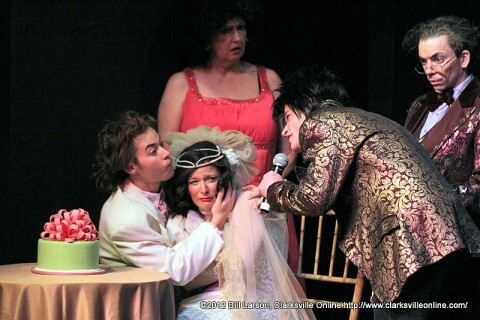 Wedding Singer patrons who come dressed up as brides and/or grooms will receive two tickets for the price of one. Reservations are not accepted for this offer, and there will be no rain checks. You may purchase your tickets online at the www.roxyregionaltheatre.org, by telephone at 931.645.7699, or at the theatre during regular box office hours which are from 9:00am-2:00pm Monday through Friday. Rob Rodems is incredibly stoked to be here at the Roxy with such wonderful people. A native of Cleveland, Ohio, Rob is a recent graduate of The Boston Conservatory and currently lives in NYC where he is a company member of the Flea Theatre. He was last seen on the Roxy stage as Otto/Ulbrecht in Spring Awakening and George in SchoolHouse Rock Live! Other recent appearances include Austin in Austin’s Bridge at Brooklyn College, Andre in Dirty Rotten Scoundrels, and Corny Collins in Hairspray at Santa Rosa Repertory Theatre. Rob is always thankful for family (which are close by!) and friends, and he couldn’t be happier about being here in Clarksville! Ryan Bowie has made Clarksville his home, moving from NYC in January 2011, and is excited to return to the Roxy stage for the 29th season. Past Roxy credits include, among others, Spring Awakening (Ernst/Reinhold), I Love You, You’re Perfect, Now Change (Director/Performer), A Christmas Carol (Bob Cratchit), The Sound of Music (Max), Ain’t Misbehavin’ (Director / Choreographer), Into the Woods (The Baker) and Forever Plaid (Jinx). Other professional credits include Jesus in Godspell and Hamilton in the NYC premier of Dotty Dot: A New Children’s Musical, Freddy in My Fair Lady (Midwest), Jonas in The Giver (Chicago), Ryan in High School Musical (Midwest), J. Pierpont Finch in How to Succeed… (New York) and Matt in The Fantasticks (New York – tour). Training: Frostburg State University – BA Theatre: Acting & BA Music: Vocal Performance. Special thanks to his very supportive friends and family. 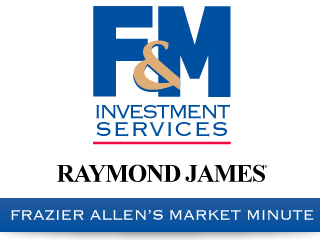 Stay up to date at www.ryanbowie.com. Sean Ormond is ecstatic to join the cast of the Roxy’s The Wedding Singer, following his debut in Spring Awakening! A native of Stamford, Connecticut, Sean has appeared regionally in Brighton Beach Memoirs, 1776 (Kweskin Theatre), Full Monty (Playhouse on the Green) and High School Musical (Rich Forum), among others. He will return to the Roxy stage in Captain Louie (Louie) and Happy Days. Humberto Figueroa, currently studying for his BA in Theatre Performance at Austin Peay State University, is a recurring performer at the Roxy Regional Theatre as well as an active board member at the Fronkensteen Experimental Theatre. Previous credits include Spring Awakening, Into the Woods (Steward), Rent, Joseph…Dreamcoat (Pharaoh) at the Roxy, and his most recent performance as Juan in the Altar Boyz at Street Theatre and Terpsicore in Xanadu at Boiler Room Theatre. He has also been seen onstage at APSU, performing in Pirates of Penzance (Samuel), Ben and the Virtues (William), King Lear (Edmund) and Philo (Mantis). Humberto would like to thank Tom and John for helping him learn and develop his craft, and he would also like to thank his family for their patience, love and support. Kaitlin Doughty is thrilled to be making her debut at the Roxy! She is from St. Louis and went to Southeast Missouri State University for Musical Theatre. Past credits include Holly in The Wedding Singer (National Tour), Maureen in Rent, Pickles in The Great American Trailer Park Musical, and the Off-Broadway production of Cocaine: The Band: The Musical. Thanks to God and my family. Regan Featherstone feels so lucky to be a part of this wonderful cast, following his Roxy debut as Tom in SchoolHouse Rock Live and Hanschen/Rupert in Spring Awakening. Originally from Massachusetts, he now makes his home in NYC. Previous credits: My Fair Lady (Freddy) at the Broward Stage Door Theatre; ‘S Wonderful (Male Swing) at both the Broadway Palm in FL and on national tour; My Fair Lady, Funny Girl, and A Little Night Music at Gretna Theatre. Other favorite credits; Cinderella (Prince), Smokey Joe’s Cafe (Michael), Three Penny Opera (Street Singer), Seussical (Gen. Schmitz), Beauty and the Beast, Brigadoon. B.A. in Theatre Performance from Wagner College. Love and thanks to his amazing family, friends, and teachers— especially Mom and Tom! For Dad and Gram. Jama Bowen, as a recording artist, has had Top 40 hit songs on the radio, sung for President Bill Clinton, and performed across the U.S. and Europe with Sheryl Crow, Reba McEntire, George Jones, the Oak Ridge Boys, and many others. Her jazz group took top honors at the international jazz festival in Primorsko, Bulgaria, and Jama was a regular soloist on Nashville’s live radio show, “WSM Waking Crew.” Jama’s acting credits include television, radio and voiceover. Recent theatre roles include the Geisha Madam, Pacific Overtures; Jeannie Garstecki, Great American Trailer Park Musical; Liliane La Fleur, Nine; Rhonda Lynn Lampley, Christmas Belles; Prudy Pingleton, Hairspray; and Marion Thayer, Titanic. Jama premiered the role of Mrs. Fezziwig in the new original musical, An American Country Christmas Carol, singing the debut of Bell Carol by Grammy-winning songwriter Pam Rose. Sara Fetgatter is super psyched to be making her debut here at the Roxy! Favorite shows include A Coupla White Chicks Sitting Around Talking (Maude), Cabaret (Fraulein Kost), Beehive: The 60’s Musical (Janis Joplin), George M! (Agnes), and CATS. Sara would like to thank Tom and John for this amazing experience. She sends high-fives to her rockin’ Momma, bodacious brother Andrew, totally rad boyfriend Chad, and of course all her crazy friends for their gnarly love and support!! Leslie Greene, who was last seen on the Roxy stage performing all of the adult female roles in Spring Awakening, began her career at the Roxy in 1984 during its fourth production, Lillian Hellman’s Toys in the Attic. Since then, she has performed in numerous plays here at the Roxy, including Doubt, Long Day’s Journey Into Night, Who’s Afraid of Virginia Woolf?, The Beauty Queen of Leenane, Hamlet, Headin’ South, Goin’ North for the Fourth Annual Clarksville Writers Conference, All Quiet on the Western Front and, written especially for her by Artistic Director John McDonald, Nora Witzel: A Very Curious Fella. Erin Keas, a sophomore Liberal Studies major at Austin Peay State University, is thrilled to be returning to the Roxy for the remainder of their season! Erin’s most recent performance credits include Spring Awakening (Roxy Regional Theatre), Announcer in Gallantry! and Sally in A Hand of Bridge (Austin Peay Opera Theatre), and Frau Schmidt and Sister Bertha in The Sound of Music (Roxy Regional Theatre). She would like to thank her mom for always being her biggest fan. Jessica Davidson grew up in the theatre world. Her late mother, Rosemary Norris, choreographed many musical theatre productions, as well as owned and directed a dance studio here in Clarksville. Jessica received ballet training under her sister Mandy Smith. She also studied under Albertine Maxwell, Nashville Ballet and Ballet West in Aspen, Colorado. She is the previous owner and director of Dancers’ Studio, was a judge for International Dance Challenge, and is certified by Dance Masters of America. Jessica is a graduate of Austin Peay State University, where she received her B.S. in theatre and received honors for her outstanding contributions to theatre. Some of her works at the Roxy include Tommy, Anything Goes, Grease and Forever Plaid, to name a few. Tom Thayer has been Managing Director of the Roxy Regional Theatre since its inception in 1983. Training includes Austin Peay State University and Lambuth College, and he is a graduate of the American Musical and Dramatic Academy, NYC. While living in New York, he worked as a public relations liaison for the Metropolitan Museum of Art, created and taught dance programs at the Dwight School and created and taught young dramatics for the Rhodes School. He is the founder of the Clarksville Theatre Guild, as well as the Roxy Regional Theatre, and has performed off-Broadway as well as throughout the South. With Artistic Director John McDonald, he created the Roxy’s Professional Company and serves as a director of the Summer Playhouse drama camp, which is sponsored in conjunction with the Clarksville Parks and Recreation Department. 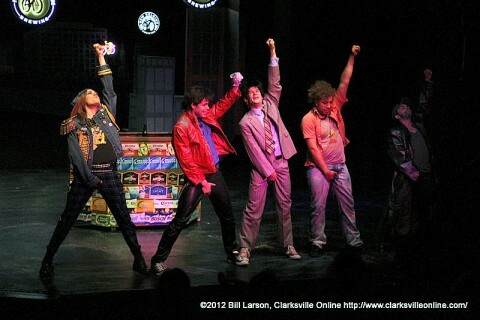 On behalf of the Roxy Regional Theatre, he recently accepted APSU’s 2012 Ovation Award for a Community Organization. John McDonald is the founder and Artistic Director of the Roxy Regional Theatre. A graduate of the American Academy of Dramatic Arts, as an actor John has worked with the New York Shakespeare Festival, Macbeth with James Earl Jones; Long Wharf Theatre, A Lion in Winter with Ralph Waite; and productions of Long Days Journey Into Night (James); Macbeth (Macbeth); Who’s Afraid of Virginia Woolf? (George); and numerous others. As an instructor, he has taught theatre at the American Academy, The Rhodes School, The Dwight School, Hewitt, and is the creator of the School of the Arts, an acting program for young performers. Writing and production credits include, among others, Jekyll and Hyde, The Red Badge of Courage, Dorothy Dix: Speaks!, Nora Witzel: A Very Curious Fella, The Picture of Dorian Gray, All Quiet on the Western Front, Poe Unearthed and Headin’ South, Goin’ North. 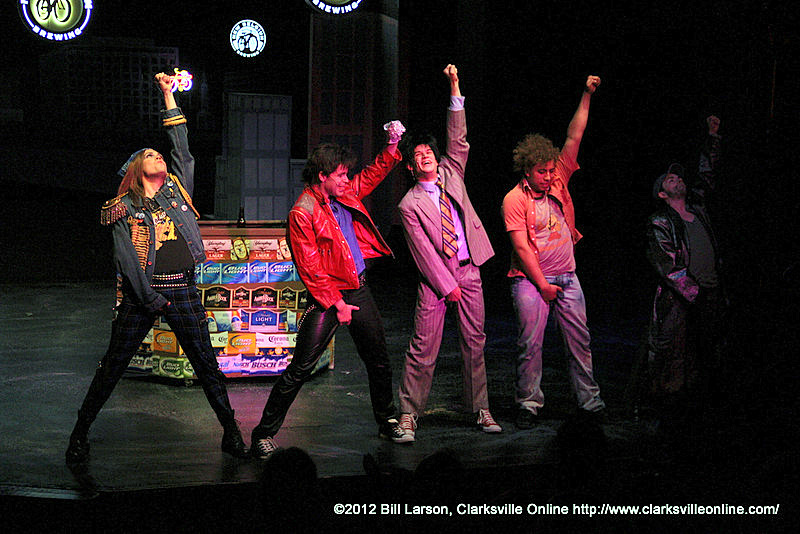 On behalf of the Roxy Regional Theatre, he recently accepted APSU’s 2012 Ovation Award for a Community Organization. Adam Kurtz, a native of Detroit, Michigan, is a graduate of Wayne State University, where he received a BFA in Theatre in Design and Technology, specializing in Stage Management. This is his fourth season at the Roxy, and he is excited to be back. Adam’s previous Roxy credits include, among many others, Spring Awakening, The Sound of Music, The Civil War, Into the Woods, RENT, Dracula, Ring of Fire, A Streetcar Named Desire, The 25th Annual Putnam County Spelling Bee and CATS. While here at the Roxy, Adam has had the opportunity and honor to function as the Sound Designer for numerous productions, as well as the Lighting Designer and Projection Designer from time to time. Adam would like to thank Tom and John for this wonderful opportunity, and his family (Mom, Dad, Matthew, Lucky the dog, Aunt Nancy & Aunt Karen) for all of their love, support and encouragement.